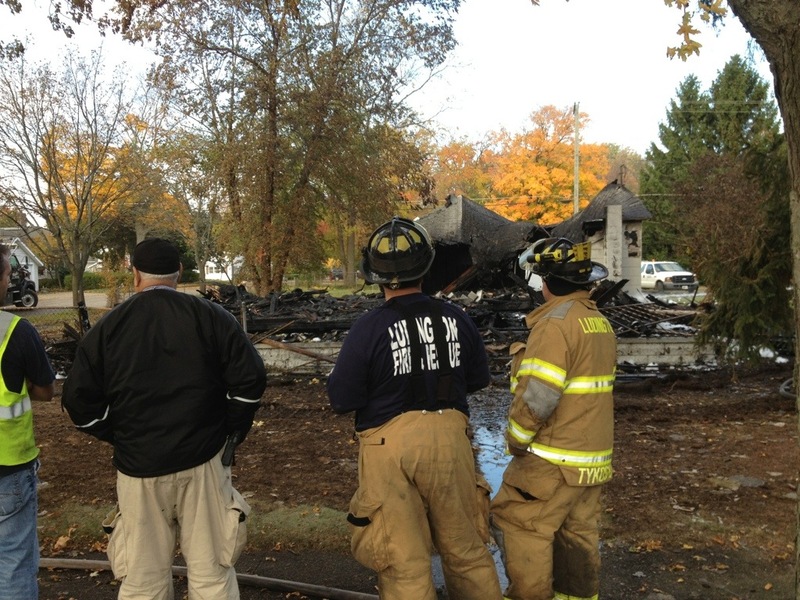 LUDINGTON — Two fires within a block of each other are being called suspicious by Ludington Fire Chief Jerry Funk. The first fire, at 301 N. William St., was called in around 4 am this morning. Upon arrival the house was fully engulfed in flames, Funk said. “We didn’t have a prayer,” he said. Pere Marquette Twp. Fire Dept. was called to assist on William Street. About an hour later LFD was aged to a garage fire at 409 N. Robert, a block away. Funk sent some Ludington and PM crews there along with Hamlin Twp. Fire Dept. Firefighters were able to extinguish that fire. No one was living in the William Street house, Funk said, adding that it may be in foreclosure. That house was completely destroyed. A Michigan State Police fire marshal has been called in to investigate.